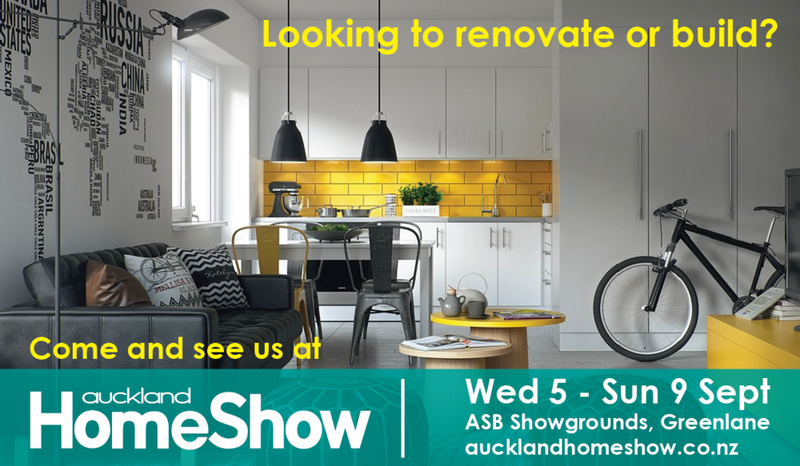 The iconic Auckland Home Show returns in September at the ASB Showgrounds. The show runs from Wednesday 5th to Sunday 9 September with over 500 exhibitors showcasing the latest products, services and trends in renovations, building, furnishing, home improvements and outdoor living. Pop in and visit us on Stand 630 in Hall 6/7. After a brief stint at Constellation Drive, Sika Homes have moved to our new office space off William Pickering Drive. Our larger office gives us the ability to house more team members as we grow our business to meet the increasing demand. A piece of history from the vaults. We have now completed sanding and polishing our Matai floor boards. We did however come across some issues with movement from the floor which created ripples in the floorboards. This meant they needed extra sanding and that set us a day behind schedule. We had never seen anything like this and it was quite a hassle because we had so many contractors booked in and you end up with a domino effect. However we managed to work it out and stay on track. Once the floors were completed we were able to finish putting in the rest of our kitchen. Having altered the design quite a bit, it wasn’t the most straight forward installation for the guys from Moda Kitchens. However they did a fantastic job working out the technical details and we are very happy with how it came together. Our homemade concrete benchtops have now been polished, coated, and fitted! They look really great especially with the addition of our stone sink and gas hobs. However a kitchen is not complete unless it has a rangehood, which we built ourselves and by reusing the Rimu sarking from the original house, and we’re pretty happy with how that has turned out too. We have had our Irvine carpets laid in the bedrooms and we are really satisfied with the quality; they seem durable yet soft. We’ve finished fitting all the windows and doors throughout the house and have been able to remove the plastic from our windows so we finally have a view outside! Brenton from TL electrical had a busy few days doing the final fit off in the house. All the lighting, switches, power points, data and alarm systems are now installed. We’ve really appreciated the speed at which he’s done everything and the quality of his service. We’re also really happy with how our HPM Arteor gear looks and it’s been receiving a lot of comments already. Glen from G.King Plumbing has come in and finished fitting all the plumbing equipment including our stellar Hansa tapware which we found at Franklins Plumbing. Now that the tap ware and vanities have been installed our bathroom is complete! Our gas fitter installed our gas hot water system and gas fire hob this week, so we’re ready to cook and stay warm! We’ve finally had our copper spouting and down pipes installed! We’ve chosen to leave it quite late in the job this time to fit in around all the other contractors. Our outdoor fireplace has been challenging to complete due to constant rain. That has held up the plastering continuously but thankfully we only have one more top coat of plaster to go and it will finally be completed. Next week the guys from Stellar Surfaces will come in to grind and polish our concrete patio. At the moment it’s looking pretty rough with muddy footprints all over it so it will be exciting to see the transformation as it gets ground back and sealed. Three quarters of the house has now been painted. We’ve made sure that our painters finished all the areas that are beside grass first. This is because once our lawns are seeded we won’t be able to walk on them for a while. As mentioned last week our painters have put in an awful lot of work into the preparation which is already paying off as we’re getting compliments from our neighbours. Tomorrow the guys from Woolgro will be here to lay our grass. Their system uses a woollen mat which grass seeds are sewn into, they then germinate and develop into lush grass with strong roots. So our interior is now pretty much complete. All that’s left to build are little odds and ends such as shelves and wardrobe interiors and a few little painting touch ups are needed before we will be ready to move in!